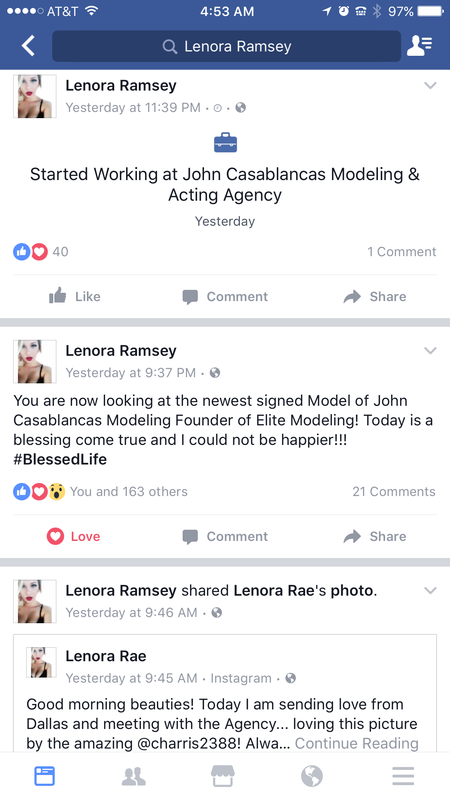 Yesterday, I received the sweetest FB status on my news feed from one of my models for my website, Lenora Ramsey. She was interviewing for an opportunity to work for a big time modeling agency out of Dallas. I sent her well wishes and told her they would be fools not to sign her. I awoke this morning to a new FB status on my news feed and it was awesome. She had been signed. I am so happy for Lenora and can’t wait to see what is next for her future. Chase your dreams, no matter how big they are. Lenora is proof that with hard work, dedication and drive, dreams do come true.